A simple, black ikat design is pretty ubiquitous these days. From Nate Berkus for Target, to Elle Decor, to Etsy, you’re bound to see some interpretation of the design. Does that make this trend any less covetable? Heck no! But a girl has only so many sofas and windows to embellish. I’ve tossed around the idea of buying a stencil to create my own fabric, but decided to freestyle the look since I was working with an old duvet. 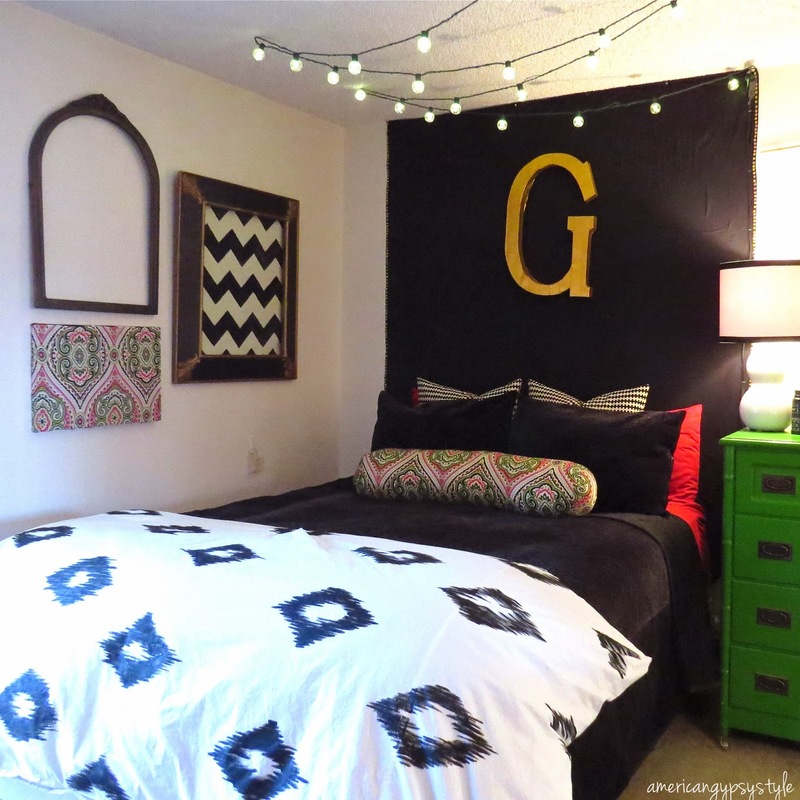 I’m glad I braved this diy! It was a super easy (albeit time-consuming) project and I’m pretty thrilled with the results. Step 1: Practice your design on extra fabric. Have fun! Go crazy! 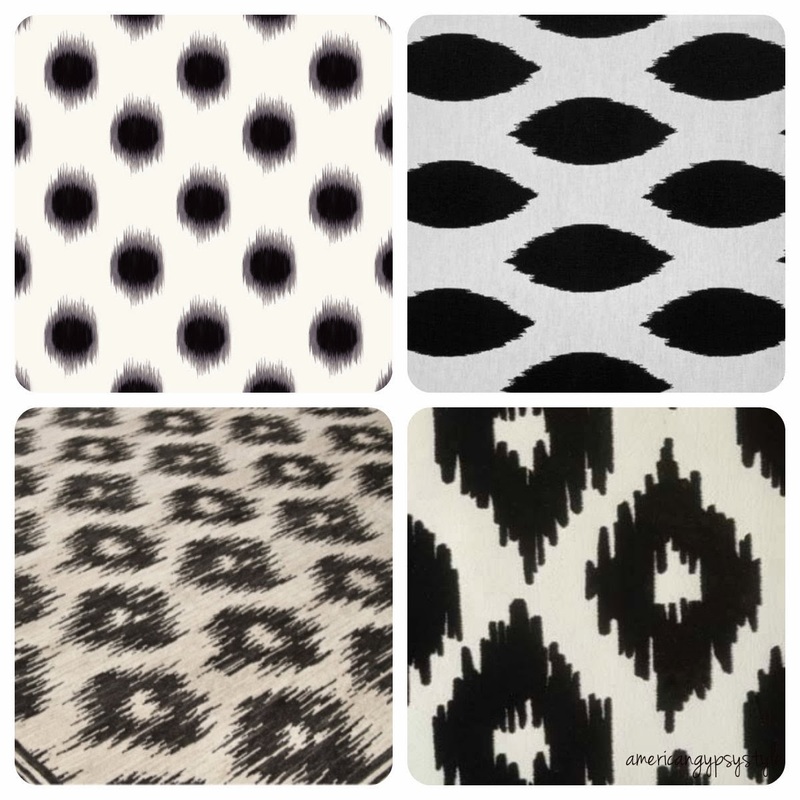 I went through a couple different design iterations before settling on my final ikat style and size. Determining the final size was fairly paramount to the project because the duvet is so large. But more on sizing and spacing later. Right now, you just need to practice. Once you have your design finalized, you’ll need to determine the size and spacing of your design. If you’re like me-- and hate that you have to stop all your fun painting-time to do math-- I suggest you follow my lead and work with nice, easily-divisible whole numbers. Trust me. Step 2: Get your math on. Here’s how I worked it out: I knew I wanted the design to be fairly large since I was covering a queen duvet and didn’t want to spend all weekend painting. And since my duvet is pretty old, it comes with lots of imperfections that I wanted to hide. But the most important one was an old hole that I did a terrible job of darning. To hide this puckered area, I determined that my design had to be 10” long and 6” wide. And each design had to spaced 12” from each other from their middle. 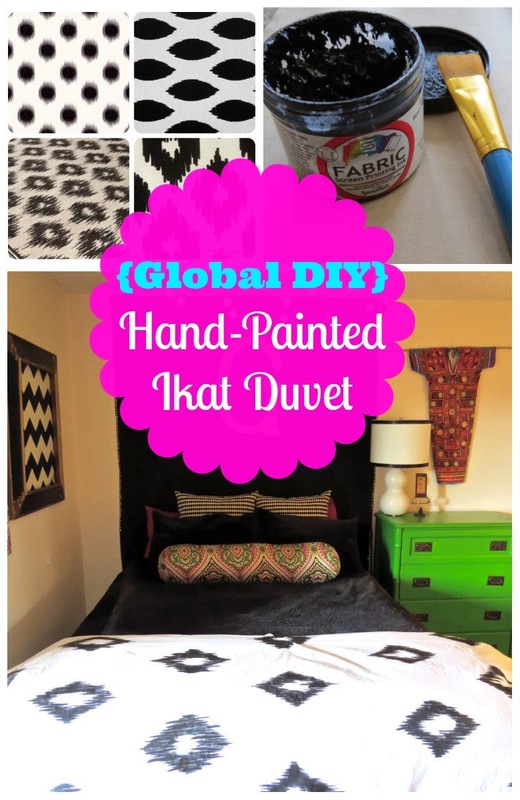 Step 3: Paint your first ikat design! Remember to protect your table or work surface with lots of newspaper. And if you’re painting a duvet, make sure you have thick paper or cardboard sandwiched in between the sides so there is no bleeding. Repeat, like, 45 times. Now’s a good time whittle down your Netflix queue. Or get caught up on Downton. Once you’ve completed your final design, let your fabric thoroughly dry. If you’re extra cautious, you can heat set the paint with a blow-dryer. I’m sure any kind of fabric paint would work. Screen printing ink is what I had on hand, so it’s what I used. But I totally recommend it for this type of project. For one, this ink is intended for use on cotton fabric. Two, once heat set, you can throw it in the wash.
Another thing is that although it’s called “ink” on the label, it feels more like paint than ink. It’s not thin, like regular acrylic or latex paint. Instead, it’s thick and rather chunky. Screen printing ink is designed to be "squeeged" across a screen. Obviously I’m not doing that. So in order to avoid excess chunky paint on the fabric, I kept my brush light with the paint and always made sure I wasn’t leaving a ton of thick paint spots on my design. So cute; I love this idea! This turned out fantastic! Thanks for sharing on the weekend re-Treat Link Party!